John Simon is a super producer. And one that gets deeply involved in the process with the artists he works with. He is an accomplished musician and songwriter himself, having several albums under his belt. He began his career at the leading record company in the world at the time, Columbia, in the early 1960’s and worked his way up to producer. Being relatively young to the staid old men in the organization, he was tapped to produce several of these new fangled rock n rollers the company was signing. And what a group of artists that turned out to be! Leonard Cohen’s first album, Simon & Garfunkel's “Bookends”, BIg Brother and the Holding Company’s “Cheap Thrills”, Electric Flag, Gordon Lightfoot, Blood, Sweat and Tears, Seal & Croft and perhaps most importantly, he produced The Band’s first two albums, “Music From Big Pink” and “The Band”. Right place right time. Right man for the job. Since John is a very hands on producer with serious musical skills, he could elevate the youngster like Big Brother with Janis Joplin or get into the details with guys who had just been Bob Dylan’s touring act. He was more than just the go between with the record company or making sure the money was being spent constructively. He was a partner, mentor and friend to these now legends. Later in the 1970’s he was signed as an artist himself with several albums to his credit. He continues to work and play today. You can find him most Thursday nights playing with his jazz trio in Ellenville New York, about two hours outside Manhattan. 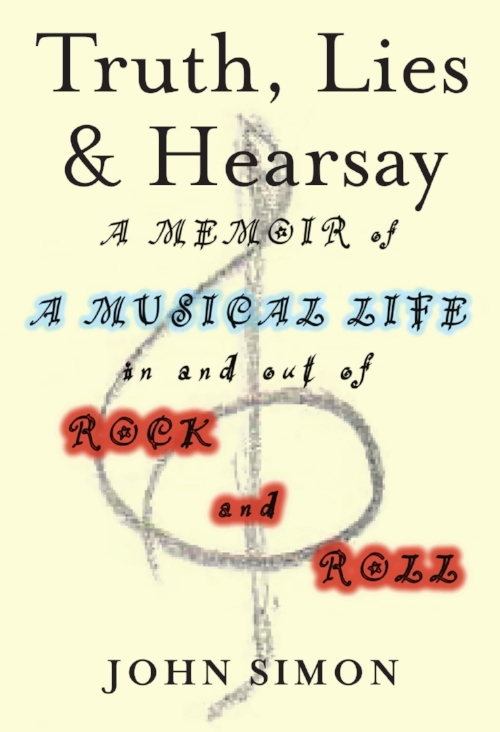 Take a listen as the Rock N Roll Archaeologist discusses all of this and the rest of his amazing life as they dig deep into John Simon’s new book, “Truth, Lies, and Hearsay: a memoir of a musical life in and out of Rock & Roll”.